Situated in the lowest part of the Mekong River Basin, some 85 km south of Ho Chi Minh City, Ben Tre is a province made up of three main islands wedged between the Co Chien River to the south to Tien Giang River to the north with the Ham Luong River running straight down the center. As it splits out into many fingers before spilling out into the Southern Asia Sea, all are effectively offshoots of the Mekong River. 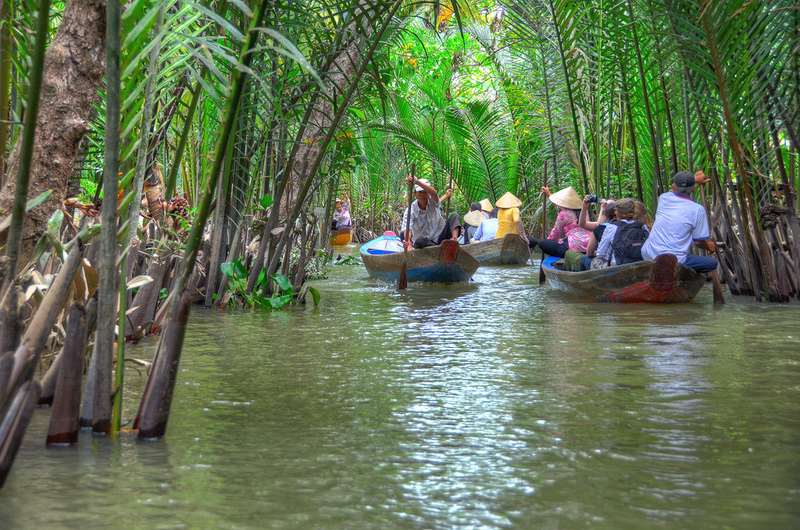 Travelling by boat along canals and rivers intertwined under the shade of coconut palms in Ben Tre Province, you can definitely enjoy regional special dishes in its huge coconut gardens and orchards. 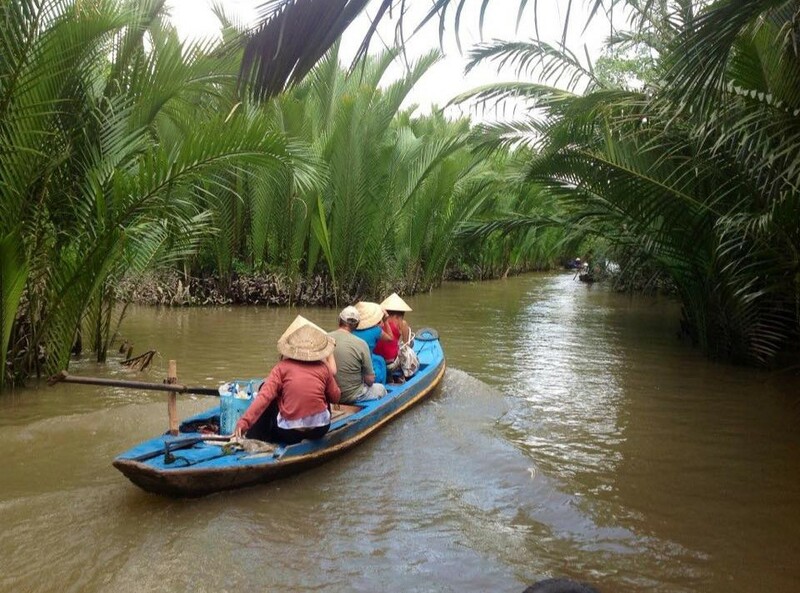 Flat and verdant, Ben Tre province is mostly given over to fruit and rice cultivation. Here, traditional Mekong life is the norm and it is such an unadulterated scene — the main pastimes are wandering the local markets, doing a boat trip, sipping the coffee and skipping through the local museums. 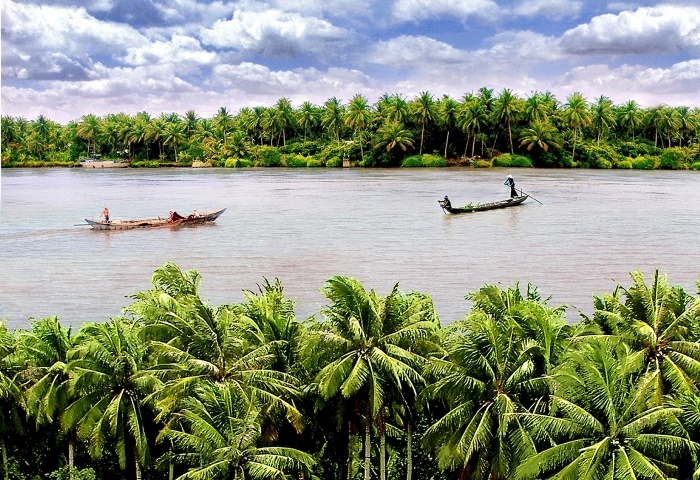 Since the early days of land opening in the Southern part, coconut palms have ever been seen as the symbol of Ben Tre. Not only suitably covered in coconut trees, Ben Tre is also famous for its coconut desserts. During the war, Vietnamese people used these coconut trees to make coconut oil that was then used as a valuable substitute for kerosene. Even through many years of fierce wars, coconut survived and stayed as close as a dear flesh-and-blood friend of the Ben Tre locals. Now, there are nearly 36,000 hectares of coconut woods in this charming province. There was a time, many people in Ben Tre cut down the tree for economic reasons, but have later been back with it as they realized that their livelihood could be sustained for quite a long time with the coconut tree. 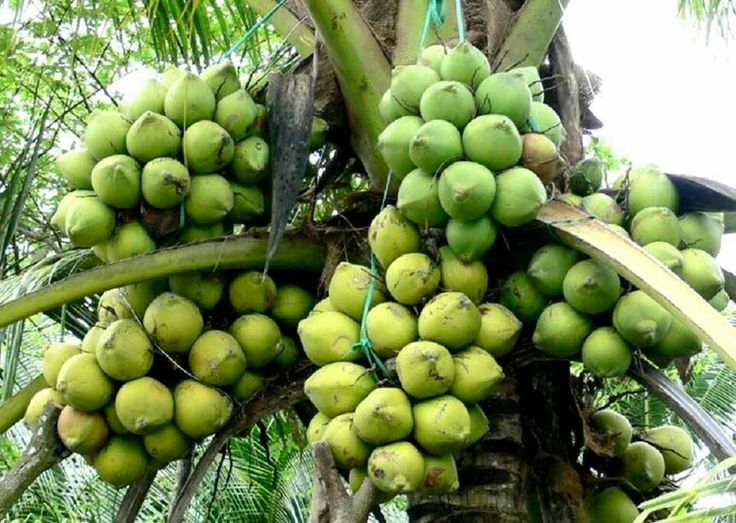 Today, each year, approximately 36,000 hectares of coconut area in Ben Tre yield around 242 million nuts. Apart from coconuts, Ben Tre is also the royal of other kinds of special fruits. Covering a total area of around 41,000 ha, these regional orchards annually yield around 400,000 tons of fruits. The province also has a large number of famous specialty fruit trees, such as the special orange of Mo Cay, the high-yield Four Season mango, the Cai Mon mangosteen, the green-skin pomelo, the milk yellow-meat and no-stone durian and tens of other specialties imported abroad or from other regions. Once visiting Ben Tre, travelers can have an amazing chance to enjoy not only coconut candy and special fruits but also folk culture and traditional crafts, which all are the regional specific identity.